I’ll be giving a talk at Newcastle Central Library at 6pm on Thursday 18 January on the background to The Death Beat. 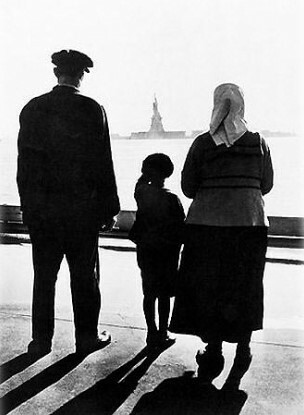 The book is set against the 1921 US Immigration Restriction Act, which has some disturbing parallels with today. Come along for a warm welcome and interesting discussion. The event is free, but please register your interest here. Signed books will be available to purchase. 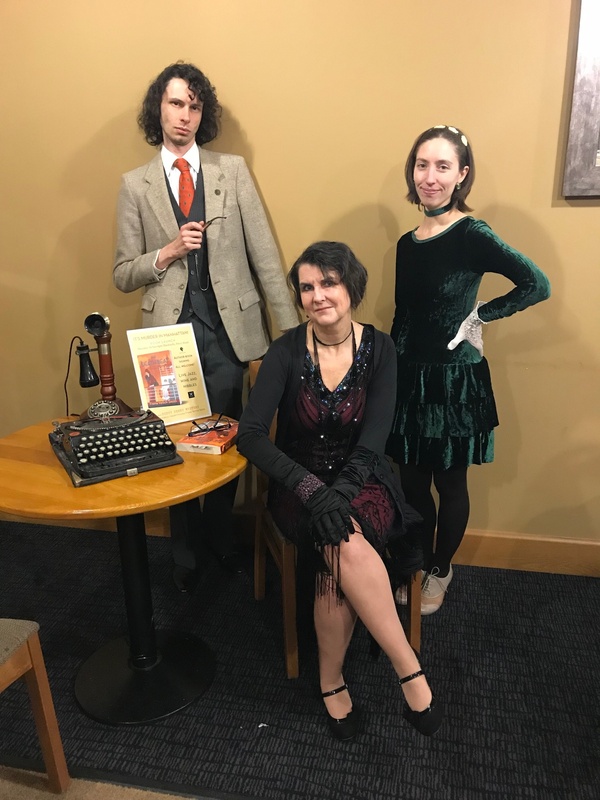 The Death Beat launch party – no Prohibition here! 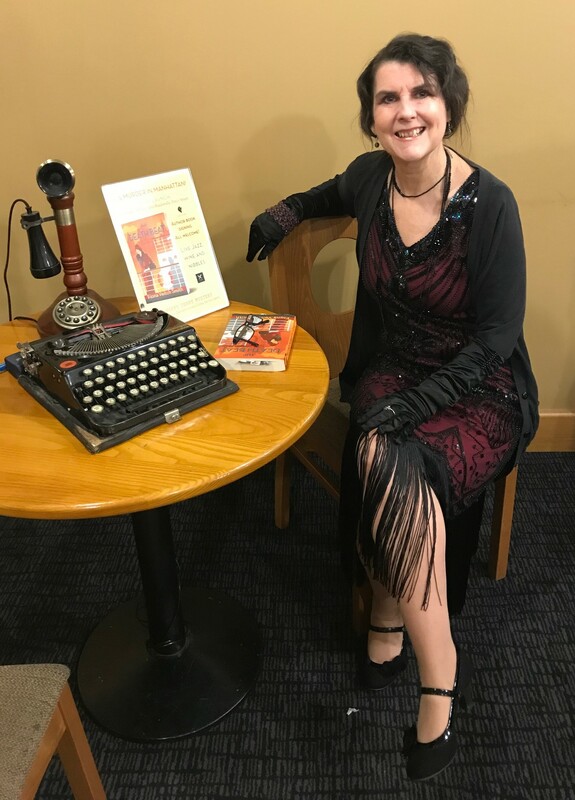 Last week I held a 1920s-themed launch party for the release of the third book in my Poppy Denby Investigates series, The Death Beat. 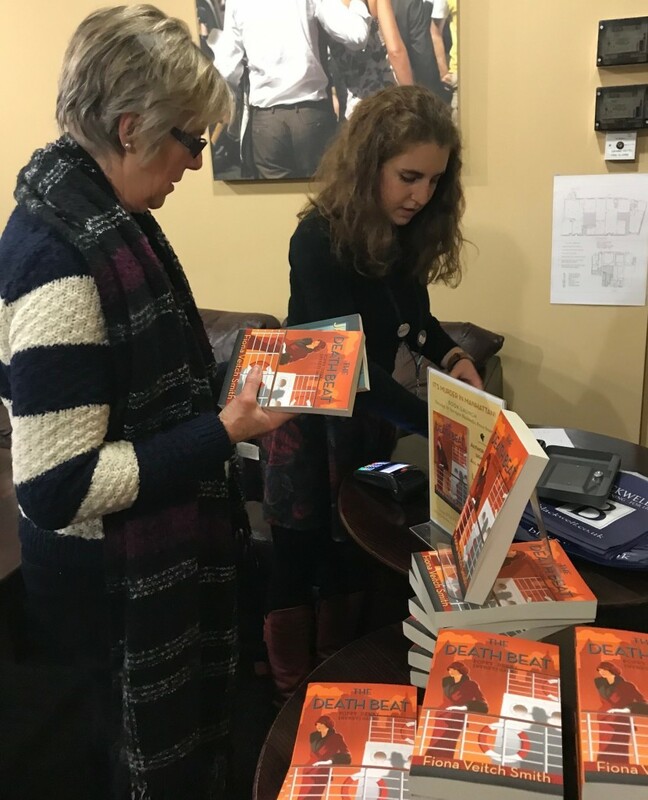 Intrepid reporter sleuth Poppy and her friends would have felt right at home at Blackwell’s Bookshop in Newcastle, with live jazz and wine freely flowing. 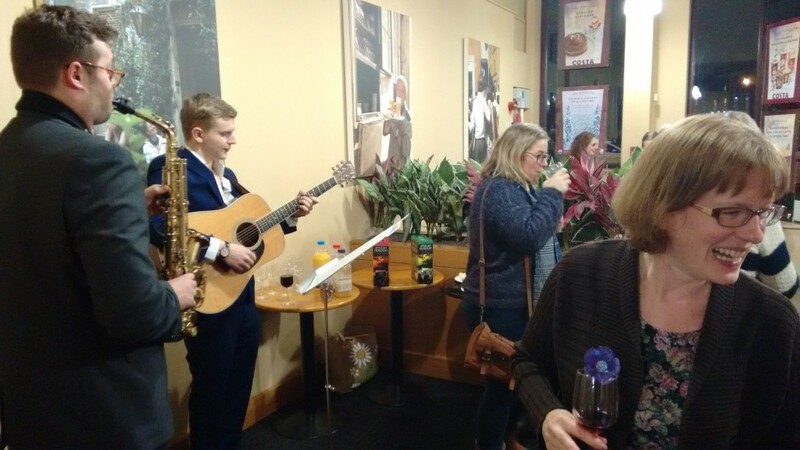 Although snow threatened to scupper the launch – with the band getting stuck somewhere en route – the party got off to a delayed but warm start. 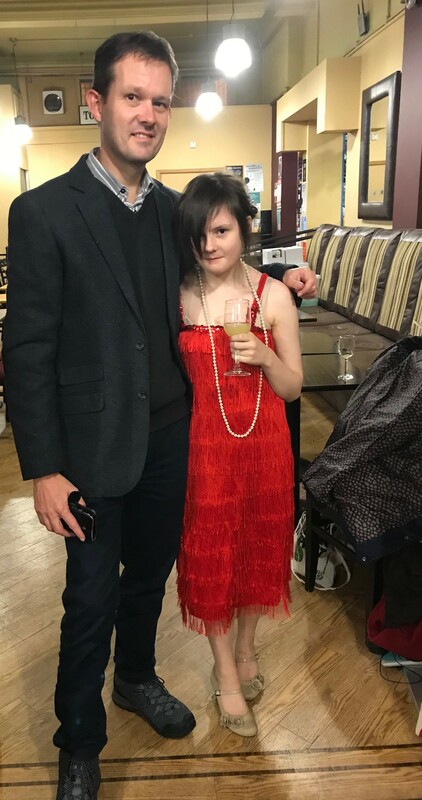 Former ITV journalist Mychaela Stephenson interviewed me about the latest book set in New York and then the guests were treated to a reading set in a speakeasy, where Poppy and her friends flout Prohibition. Thanks to everyone who braved the weather and helped make it such a fun evening. Me channeling Lady Cora Crawley. And yes, that is an original 1922 Remington typewriter. Gorgeous, isn’t it? No this isn’t a cast call for Peaky Blinders. Friends Ben and Diana really looked the part. Fun, fun, fun! Jack & Alex playing some fab 20s Jazz and friends Becca (left) and Helen (right) breaking Prohibition. My beautiful family: husband Rod and daughter Megan. Doesn’t she look flapulous? Bookshops make the world go round. 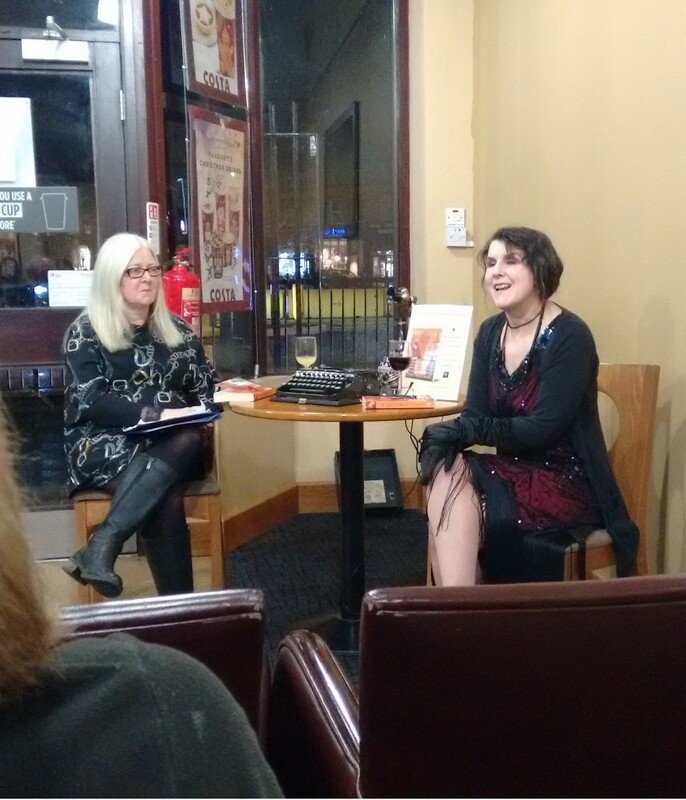 Thanks to Mariana from Blackwell’s Newcastle for hosting the launch.